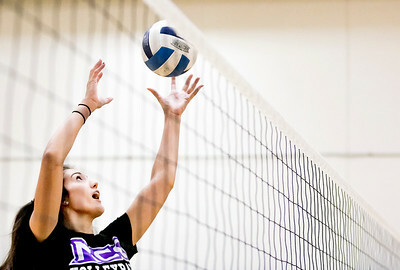 Sarah Nader- snader@shawmedia.com McHenry County College's Kyla Fitzsimmons hits the ball during volleyball practice at McHenry County College in Crystal Lake Wednesday, Oct. 27, 2016. 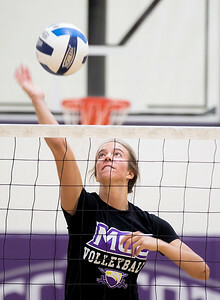 Sarah Nader- snader@shawmedia.com McHenry County College's Nicole Johnston hits the ball during volleyball practice at McHenry County College in Crystal Lake Wednesday, Oct. 27, 2016. Sarah Nader- snader@shawmedia.com McHenry County College's Kayli Trausch hits the ball during volleyball practice at McHenry County College in Crystal Lake Wednesday, Oct. 27, 2016. Sarah Nader- snader@shawmedia.com McHenry County College's Kyla Fitzsimmons huddle during volleyball practice at McHenry County College in Crystal Lake Wednesday, Oct. 27, 2016. Sarah Nader- snader@shawmedia.com McHenry County College's Kayli Trausch (left), Kyla Fitzsimmons, Nicole Johnston, McKenzie McKay and McKenna Miller listen to the coach during volleyball practice at McHenry County College in Crystal Lake Wednesday, Oct. 27, 2016. 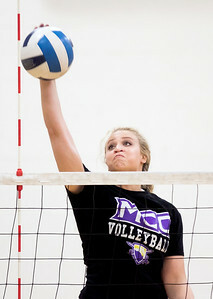 McHenry County College's Nicole Johnston hits the ball during volleyball practice at McHenry County College in Crystal Lake Wednesday, Oct. 27, 2016.